1. Does it cover failures due to wear and tear? It’s fairly obvious that every part of a car will simply wear out over time if you wait long enough. That’s where the first huge benefit in cover appears with the MotorEasy car warranty plan. MotorEasy will cover failures as a result of a covered part failing due to ‘wear and tear’. This means that we won’t dodge claims by attributing failures to ‘wear’. We will always ensure that you are protected against such risks. pads, clutch plates, wiper blades, exhausts, batteries and tyres. These parts will never be covered as part of an extended car warranty but the vast majority of mechanical and electrical parts will be. won’t cover failures due to wear that become more prevalent as the car ages or reaches higher mileages. The same is true with most of the independent warranties out there. So watch out for any car warranty that doesn’t cover or excludes failures due to ‘wear and tear’ - whether described as ‘normal’, ‘gradual’, ‘expected’, ‘general’ or ‘premature’. Some will say they cover ‘premature’ wear but not ‘normal’ or ‘gradual’, which makes little sense, so beware! 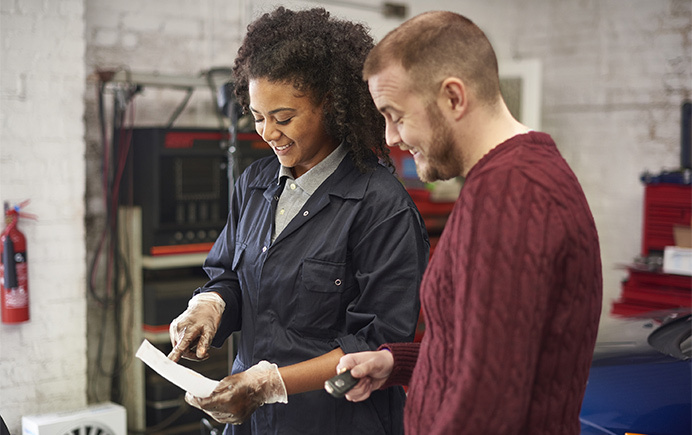 Previous research has shown that as much as 70% of all claims can be attributed to ‘wear and tear’ either in part or in total, so a car warranty that doesn’t cover it is of potentially little value. 2. Can I use the garage of my choice for any car repairs? A dealer used car warranty will want you to return to the dealership. Many independent aftermarket extended warranties will restrict you to a limited number of garages – and restrict hourly labour rates that they will pay to leave you with much of the bill. There are about 20,000 garages nationally that are involved with car service and car repairs ranging from franchised dealers, specialists, independents and fast-fits. Of these, MotorEasy has built an approved network of some 10,000 workshops. This network understands the MotorEasy philosophy and our processes to ensure all goes smoothly with any car repairs. Though it's network MotorEasy can also offer outstanding car service and MOT pricing along with collection and return of your car. If, for any reason, you would prefer to use an alternative VAT registered garage of your choice this is possible too. All car repair work must be pre-authorised, whatever garage is selected. * Many car warranty holders mistakenly believe they are also required to have all car servicing carried out at the franchised network; due to the legacy of the European Commission’s Block Exemption Regulation, this is not the case. The MotorEasy network can carry out manufacturer's approved level of car servicing at up to 40% cheaper than franchised garages. 3. Does it cover overheating? Overheating can lead to some of the most expensive car repairs. Therefore, if your car service and maintenance warranty plan doesn’t cover it then you could be left with a big bill. Most overheating is down to lack of coolant due to a leaky hose or the failure of the timing belt. Hoses are not usually covered by a car warranty but the consequence of one failing can be catastrophic. That’s why a MotorEasy car warranty covers what is often referred to as consequential loss or damage. We might not cover the leaky hose but we will cover the blown engine – saving you thousands of pounds. It’s the same with the timing belt. As long as yours has been changed at the manufacturer’s recommended interval, MotorEasy will cover the damage that results from its failure. 4. What is the pay-out limit? We have seen car warranty plans that feature a £100 car repair contribution (also known as an excess) and a £500 car repair limit (also known as a claim limit) – leaving £400 that’s hardly likely to cover any serious bills. Even a £2,000 limit seems minimal for today’s cars. With MotorEasy the car repair limit is the value of your car which should cover almost every possibility. 5. Will the car warranty settle directly with the workshop? Most extended car warranty providers will ask you to settle with the garage and reclaim the car repair costs, leaving you out of pocket and with the bother of administration. MotorEasy has a network of some 10,000 garages that we can pay directly. They are familiar with our speedy car repair process and will ensure a smooth experience. Additionally, these garages will normally carry-out any other non-warranty work that you need doing at our negotiated and dramatically reduced hourly labour rate – meaning big savings. To further enhance our product, we can receive and process car repairs online 24/7, with you and the workshop. If you prefer to go to a non-network garage, we will endeavour to pay them directly but you will need to pay and reclaim if this isn’t possible. They must be a VAT registered garage. 6. Does the car warranty cover failures identified by the workshop during a car service or MOT? It is surprising that any car warranty could exclude such claims. 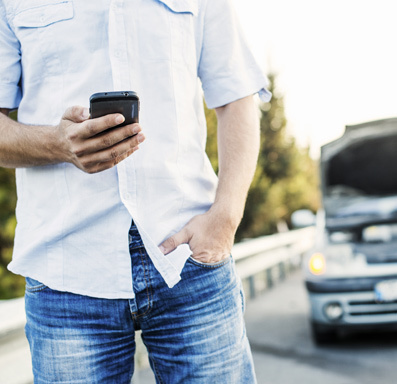 After all, this might be the only time your car gets checked out each year and it is the most likely time to discover faults. The MotorEasy car warranty plans include cover** for failures found on these visits to give you common sense and optimum protection. **Car Warranty lite plans don't include coverage for failures found during MOT or car servicing, this is the reason we can offer dramatically reduced pricing on these products.